Wes Humpston has been non-stop over the past few years, feeding the masses with his in-your-face style expressions. His latest work transcends the California culture paradigm with a flair for color combinations embedded behind his surf/skate-influenced graphic design. Wes is an artist in every sense of the word and this latest project with Stussy is yet another perfect barrel on the wave of art that he has spent a lifetime creating. 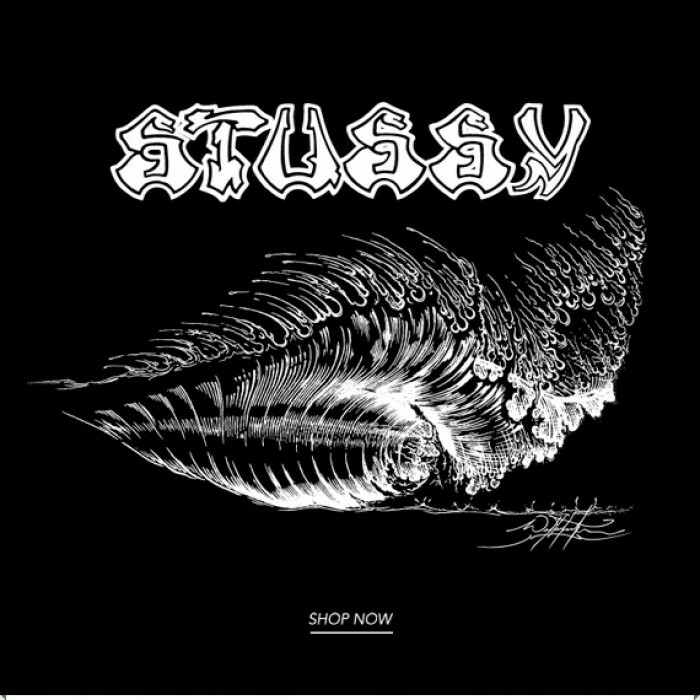 For Fall 2014 , Stussy has come together with artist Wes Humpston on a limited collection of goods. Wes Humpston is the original artist to draw and design “Dogtown Skates” – graphics rode by skateboard legends like Jim Muir, Tony Alva and Jay Adams. During the mid 1970′s Wes worked at the original Zephyr Surf Shop and went on to co-found Dogtown skates. The Wes Humpston for Stussy offering consists of original graphic by Wes placed on; two T-shirts, L/S T-shirt, 3/4 Raglan, Pullover Hooded Fleece, Coaches Jacket, Bucket Cap and Beanie.